One of the main advantage of having Google's Android Smartphone and Tablets over Apple's Smartphone and Tablets is that you can fully customized your Android device the way you want and the way you want to work with it without any fear including Android's keyboard changing method, launcher, default browser or flashing a new recovery like ClockworkMod, shifting to a new custom ROM and now installing Ubuntu Linux OS on Android. Previously we had also shared the Tutorial and Guide of Installing Ubuntu Linux on Android's Galaxy S III smartphone, you can check the tutorial if you have Galaxy S III Smartphone and now we are going to share the Tutorial and Guide of Installing Ubuntu Linux on Google's Nexus 7 Android Tablet. If you have Nexus 7 Android Tablet than you would love to have Ubuntu Linux Operating System running on Android Tablet and you can also Experience full Features and Programs of Ubuntu Linux OS into Google's Nexus 7 tablet. The good news is that soon users are going to see Ubuntu for Android devices in future but in the meantime you can install this inelegant and working solution to Setup, Install and Run Ubuntu/Linux on Nexus 7 Android Tablet. Ubuntu Linux Operating System can be integrated into any Android smartphone and tablet device with a possibility of having a full-fledged desktop operating system based on Linux after unlocking its bootloader. Setup and Installation of Ubuntu Linux Operating System on Android device is not easy thing so users have to be careful when implementing following Guidelines and Tutorial of Installing Ubuntu/Linux on Nexus 7 Android Tablet. Installing, Testing and Setup of Ubuntu Linux OS on Nexus 7 Android Tablet is quite lengthy and risky and users have to be careful when integrating it. So install and try it at your own risk and we at TechGlobeX are not responsible for any damage incurred to your device as a result of following this tutorial and guide and make sure that take a full back-up of your Google Nexus 7 tablet with ClockworkMod beforehand so you can switch back to your current setup in case things go wrong. Your PC/Laptop must be running Ubuntu 12.04 Precise Pangolin or later, this tutorial won't work if your computer is running OS X or Windows. Google Nexus 7 tablet must have an unlocked bootloader. You must have Ubuntu 12.04 Precise Pangolin on your PC/Laptop hard-disk. Your must have he Ubuntu Nexus 7 Installer. 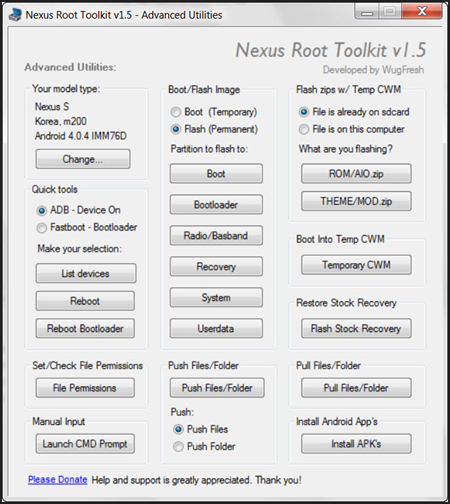 Unlock the bootloader of your Nexus 7 by using All-in-one Nexus 7 root toolkit. While you’re at it, root your Nexus 7 and flash ClockworkMod Recovery as well. How to Setup, Install and Run Ubuntu/Linux on Google Nexus 7 Android Tablet? First you should read the guidelines and instructions involved in Development and Testing of Ubuntu/Linux OS for Nexus 7 here. Now follow the following Steps and Guidelines to Setup, Install and Run Ubuntu/Linux on Google Nexus 7 Android Tablet. Step 2: Connect your Nexus 7 to your PC using a USB cable. Step 3: Boot into fastboot mode. Step 4: Turn off your Nexus 7. Press and hold Volume Up + Volume Down + Power buttons until you see the Android mascot. Step 5: Ensure no other USB-based devices are connected to your PC. 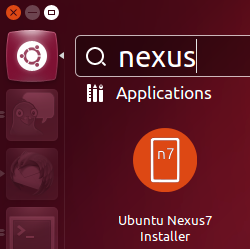 Search for Ubuntu Nexus7 Installer from the Ubuntu dashboard. Launch it. Follow the on-screen instructions. Congratulations!! 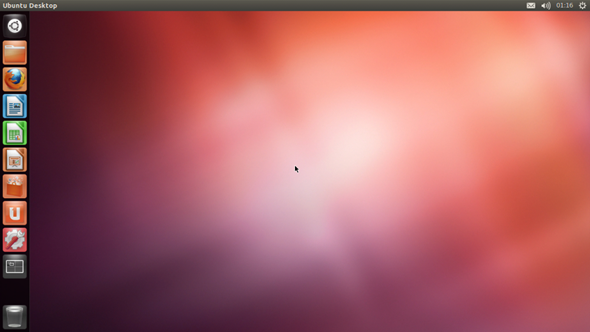 You're done and now you should see Ubuntu/Linux OS Contents on your Android's Google Nexus 7 tablet. Troubleshooting: The whole tutorial and method should not take more than 20 minutes but if you're still getting any problem or error when implementing the above methods than you should refer to this official link. BEWARE: The above Content and Tutorial was provided by redmondpie and it’s purely for informational purposes only and we at TechGlobeX are not responsible for any damages, software and hardware loss occurs when implementing above method and procedure. Downloading and installing cracked apps are illegal. The whole purpose behind above tutorial and guidelines is for app testing and we encourage peoples to purchase original app directly from Google Play App Store.